We have officially changed Riverside's name from Center for Education to Center for Imaginative Learning ! This name change is significant for Riverside, for it better represents who we are and what we do. From the start of Riverside, four years ago, imagination has been at the heart of the educational vision. Why? It takes imagination to see what is "not yet", but what could be; to see the deep and meaningful story that frames our lives; to imagine the drama of human action; and to give creative ideas life through dint of labor and love. Imaginative Learning is deep learning, when we take in and personalize the reality around us. When we see it with new eyes, and through this wonderful portal of the imagination experience a world that is much grander than we ever realized. 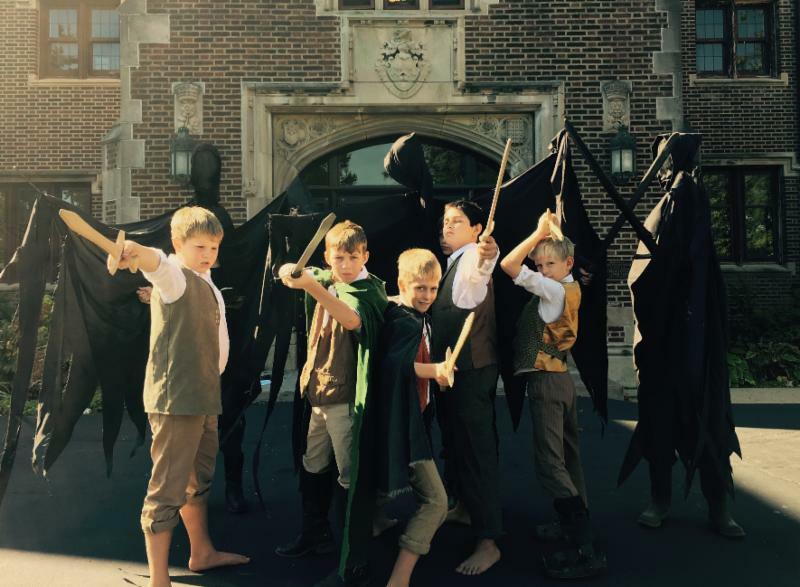 Imaginative Learning happens when we apply the creative process to learning --when the boys and girls in our programs experience that sort of wonder which gives them new sight, inspires them, and builds a fellowship of imaginative adventurers who are joyfully alive to the world. It happens when they connect meaningful creative work to culture. It happens when they discover their gifts and affinities through an active approach to learning which engages and inspires them. And it is because of this approach to learning, rooted in prayer , and a vision of this life as an adventurous pilgrimage , that we have witnessed such strong growth at Riverside. 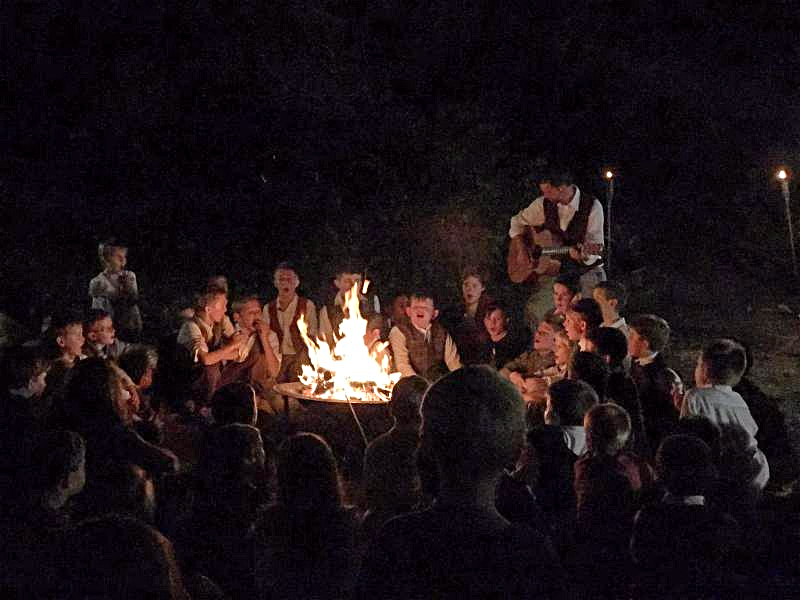 We have seen the adventurous spirit of our fathers and sons at Ranger campouts; and we witness the joyful gatherings of families at our cultural events. All of this has happened because of an approach to education we call Imaginative Learning. If you are new to Riverside, we hope to see you more in the upcoming year at one of our events or programs. For our families that are involved in Riverside already, the last four years have been a blessing to behold. I am so grateful for the adventures we have shared and the epic story yet to come! Please visit our updates site, which contains a new vision page, a brand new picture gallery page. Adventurous and Imaginative lads learn the art of storytelling through a variety of media, such as film, live theatre, radio, art, naturalist storytelling, songs, poetry, and creative writing. Families gather for cultural events rooted in story, song, and drama. Passing on cultural memory through the creative arts, family, and faith is an important part of Riverside. 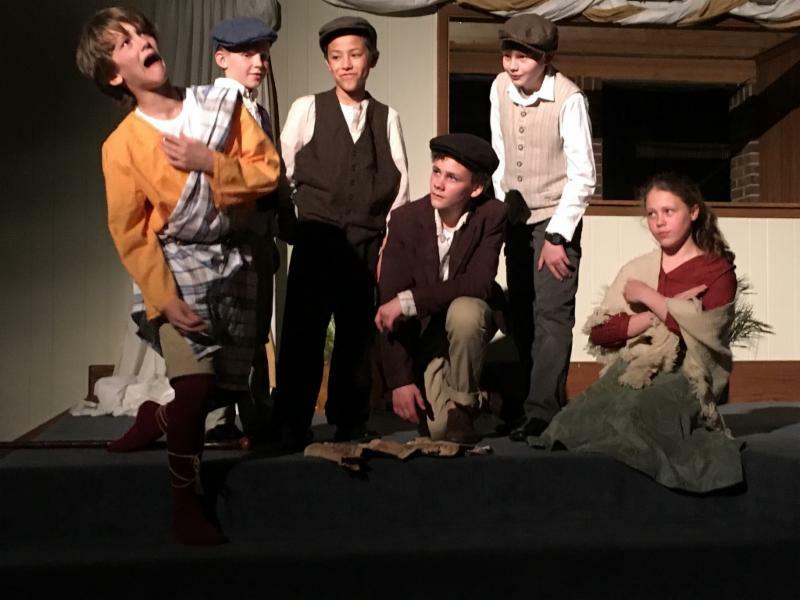 Riverside actors performed four plays last year: The Hedgerow , an original musical about the last Irish hedge school and the bardic order was a bit hit in the Spring. ﻿During the summer the boys and girls performed an original adaptation of Zorro , and our older actors in Troupe performed A Summer's Tale , by William Shakespeare. Our last theatre performance, You Can't Take It with You, is available for viewing on our Facebook page! Music at Riverside is always connected to culture. The Folk minstrels played several concerts at our families' homes, and at Riverside Coffeehouses. 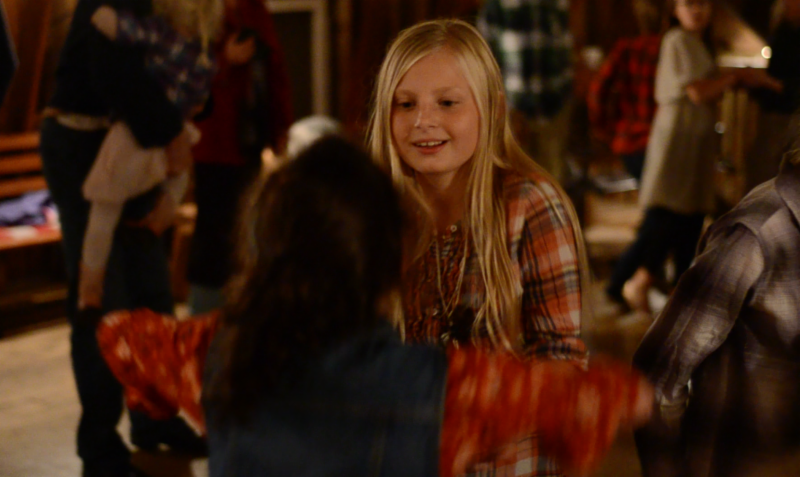 The new Riverside Swing band brought the house down at the Peabody Estate during the summer, and then blew the roof off the barn at our Big Rock Candy Barn Dance. Click here to see Swing Band in action. Film is one of the most powerful ways to tell stories to the modern world. At Riverside, we are training the next film makers, actors, and artists who will tell the stories that shape culture, and inspire new generations. Last year, our young film makers produced a variety of films, stop motion shorts, and commercials. 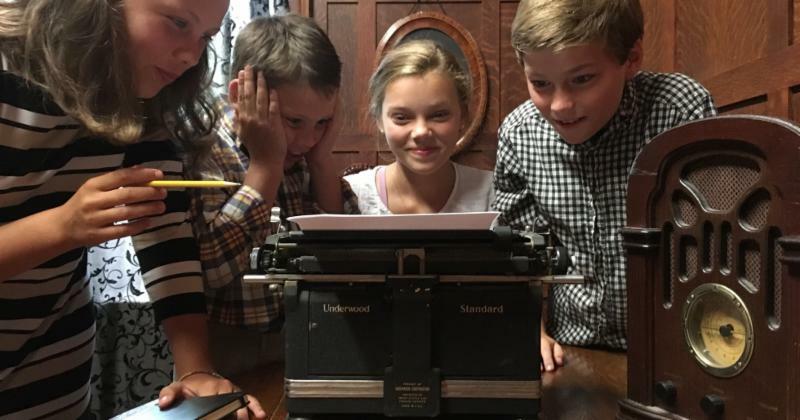 A new and exciting Imaginative Learning program at Riverside is Reporters. Boys and girls produced newspapers, TV, broadcasts, and learned the art of journalism this Fall. It is great to see a team of bold and creative of young journalists launch out into the world with courage and integrity to tell the stories we ought to hear. 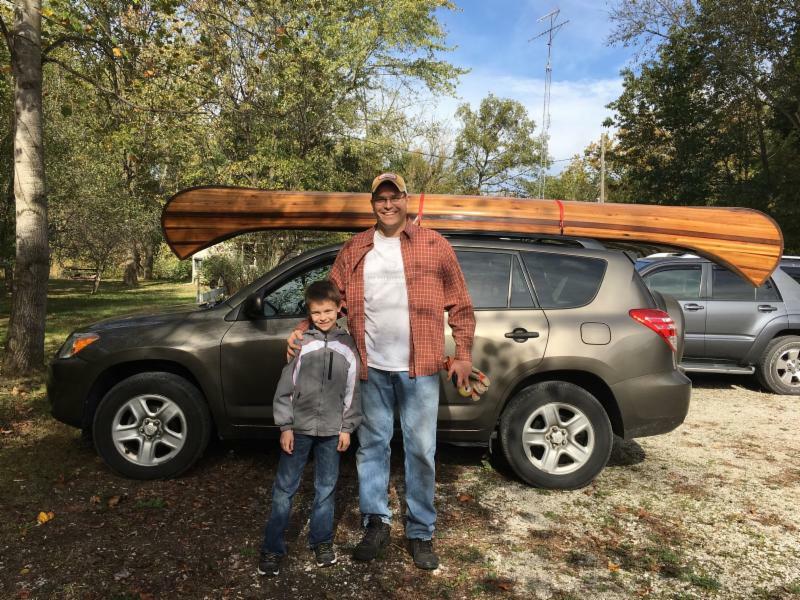 Fathers and sons gather at the country get away of one of the Riverside dads for a weekend of outdoor adventure: canoeing, archery, fishing, night games, campfires, songs, stories, and chili, of course! Riverside, in conjunction with Rivendell Farm, offered a wonderful world of small farm life and storytelling for girls. 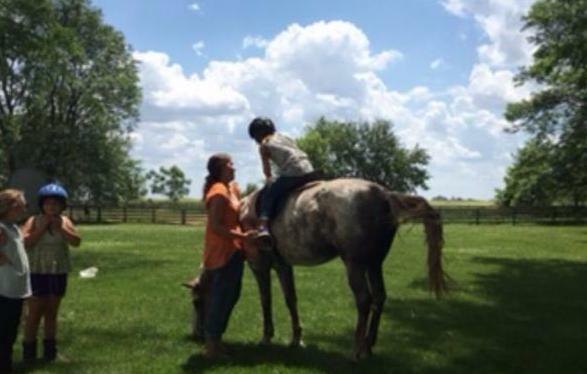 Horseback riding, stewardship, sketching, literature, faith, and friendship. Every year the Riverside Tutorial families gather to celebrate the birthday of that illustrious small hero, Bilbo. It is a time when we remember Riverside's patron, J.R.R. Tolkien, and his inspiring sacramental imagination. Together, the families feast, sing songs, play, pray, and do all sorts of other eccentric things. There are pony rides, dramatic performances of Lord of the Rings, or the Hobbit, and of course the now famous Old Forest Walk--where the world of Middle Earth comes to life on a spooky forest walk at night. This year, from the spiders to Smaug, it was an imaginative tour de force of Tolkien's world in the woods. This kind of event is typical of what Imaginative Learning really means to us-when meaningful creative work gives life to cultural experiences--experiences that give us memories, inspire our imaginations, and remind us that we are all on a great adventure together. 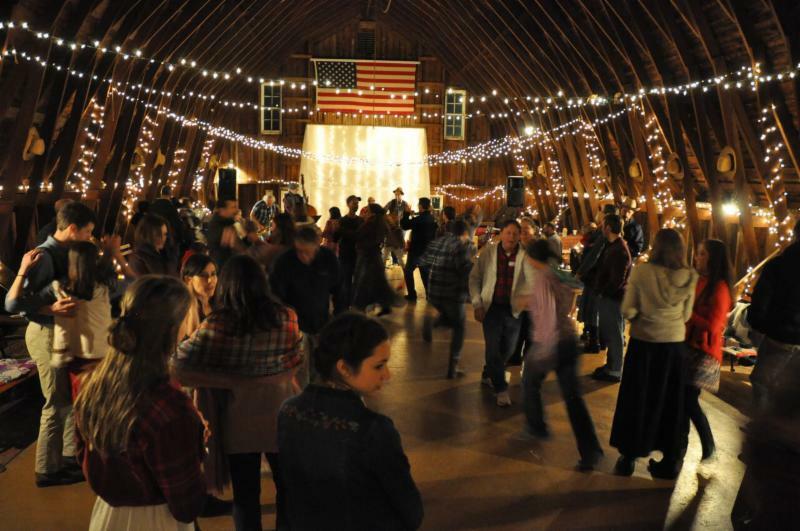 The first annual Riverside Barn dance was "one of the best Riverside events ever" according to one parent. It was an experience for all ages, full of tasty BBQ, stomping boots, and a hot Riverside swing band entertaining the dancing families. 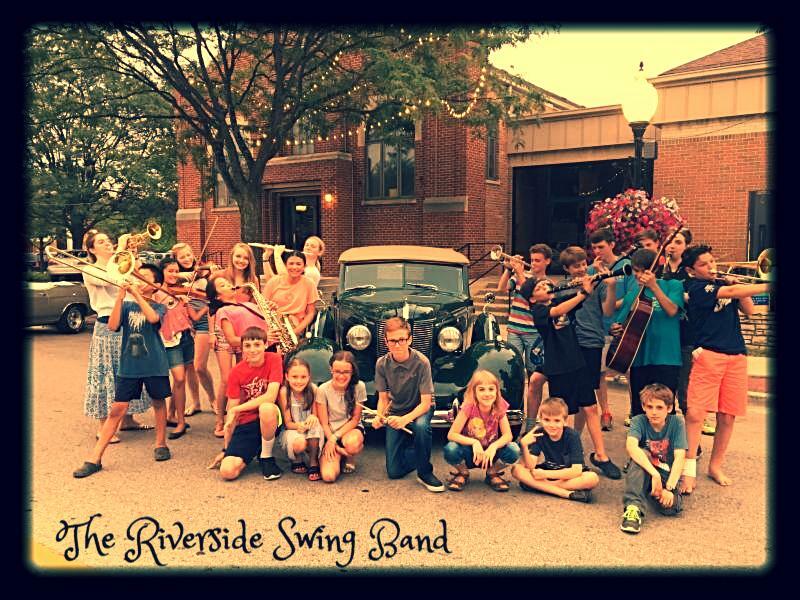 At Riverside we are rediscovering the small town days of local bands and dances, family festivals, and old time music, like folk and swing. Our families came clad in plaid and denim, two staples of Riverside style. Look for more swing dances in the near future! We had absolutely perfect weather for our summer Folk Fest this year. 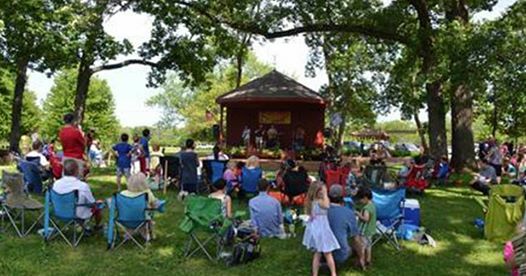 The sound of banjos, fiddles, and children having a blast echoed off the old oak trees during a memorable summer afternoon. This year, Cantigny sponsored our event, bringing in their own patrons alongside Riverside families. It was a wonderful partnership of music and community on the beautiful grounds of Cantigny Park. Trillium, Lance Brown, and the Great Whiskey Project entertained the crowds as we raised money for Riverside scholarships. Thank you for supporting our scholarship fund. We look forward to more folk music and fun next summer with you all! The Imagination League, a community for creatives, born of Riverside, presents the first Animateur Award to Douglas Gresham, the stepson of C.S. Lewis. 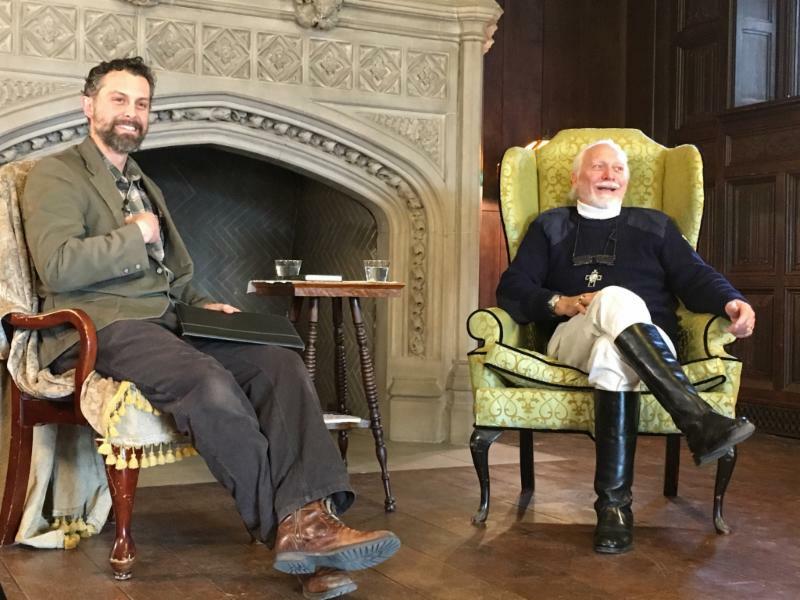 Founder and Creative Director of Riverside, Peter Searby, interviewed Mr. Gresham, exploring themes such as Mr. Gresham's boyhood with Lewis, the many adventures of his life, the theme of the imagination's role in learning and life, and his journey of Faith. It was a moving discussion, especially when Mr. Gresham recounted his mother's last days. Riverside's adventurous Race fundraiser, in conjunction with Dupage County's Human Race, was once again a great success! For the second year in a row we raised the most donations of all the non-profits in the Dupage Race. This year we raised $30,000! We are blessed to have a dedicated community of families and patrons who believe in our mission--who see that Imagination can transform culture--and that family, faith, and an adventurous spirit are key to learning and life. And as you can see in the picture above, we were all clad in plaid, even while running a race! Check out one of the Imaginative Films one of our families made to promote their Race Team!